There is another source of knowledge which is excellent: OFF FAQ by Polovski. Please visit there for much more in-depth knowledge about Over Flanders Fields. Polovski is member of the OFF Development Team. You guys can doubt, but people have reported several times that they had poor AI - upgraded (their pc hardware), got much better AI. I have consistently had much better AI than some people describe, WM too. Yes we see oddities but not as often as others. We believe it is also tied to your sliders. If you lower them CFS believes you are lowering them as your CPU/GPU is lower powered, and this lowers AI - Ez … try increasing your sliders (fps goes down of course) but see if AI is better. Maybe better to try it on a meatier PC though so you have some fps to fly with to judge by. Anyway that's all I am saying on the subject. Phase 3 it is a different ball game so other issues will occur and Phase 2 ones less. This is the latest workaround for those who want 'historical' mixture control. I have tested all the a/c in Quick Combat, with flights to altitude, to make sure that it works. But if you adopt this approach to mixture control in OFF, you will find that in some a/c types - those marked 'NO' or 'NO (lean)' - you will be at a slight disadvantage to the AI pilots at higher altitudes (as they will not be restricted in the same way to not 'leaning' the air/fuel mixture as you are), and you may also fall behind your flight leader in a climb (for the same reason). Those marked 'NO (lean)' should now be 'leaned' immediately after take-off by reducing mixture (Ctrl -) until there is a significant drop in rpm - just one click on (ctrl =) to enrich should then send rpm back up to within 20-40 rpm of full rpm for most engines. 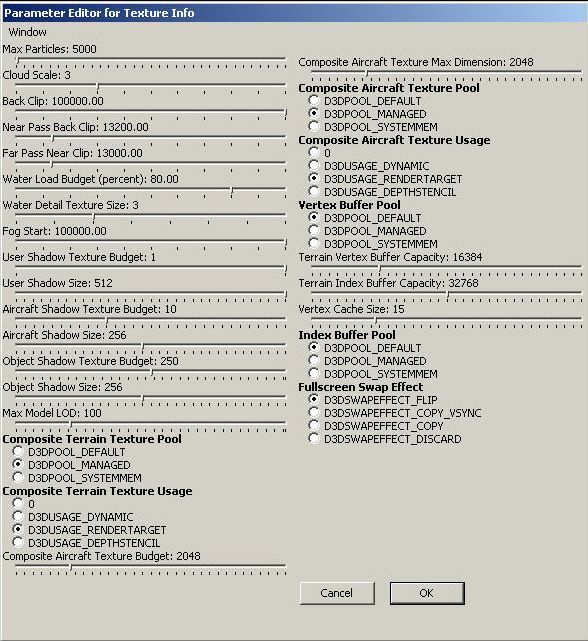 This should then be the default for the rest of the mission, and no further changes to the mixture should be made - the a/c should be able to get up to 'historical' operational altitudes (or within about 10%, which I think is 'good enough'), at the expense of a very slight reduction in power at low altitude. There is some evidence that at least some (though possibly not all) German a/c carburettors were adjusted this way to give improved altitude performance. 'YES/AUT'. 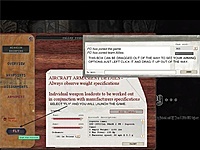 is the setting for the 'overcompressed' German engines - it gives the player the choice of either adjusting for altitude manually, or letting the sim. do it for you (the mixture control for altitude was integrated into the throttle control, in all of these engines, and although this did require some manual input on the part of the pilot it did not require a separate mixture control). With manual mixture control selected as a workshop setting, the default mixture setting for take-off is the one that will give you the best power or performance. You then only have to 'lean' the mixture as you gain altitude, keeping an eye on the rpm and listening to the sound of the engine: if you notice that rpm has dropped slightly, or the engine starts to sound a bit 'rough' then 'lean' the mixture [Ctrl + -] until the rpm rise again (although if you then lean the mixture too far, rpm will drop again - it needs a bit of fiddling with to find the correct setting). There is really no other guide than the rpm dial and the sound of the engine. Most German non-rotary engines would have been 'automatic' from about March 1918 onwards, so selecting Automatic Mixture Control for these in the workshop setting should be the historically correct option for these types from about March 1918 onwards. Tick them and you should have no messages at all. Hardware - Rudder pedals reversed? You need to change the following entries in your XCA file located in C:\Documents and Settings\yourusername\Application Data\Microsoft\Combat Flight Simulator 3.0 The folder may be hidden so check un-hide files and folders. All you do is make the original entry into a negative number and the pedals will work properly. You can get trackir 1&2 to work using tir_attack 1.6 (1.7 doesn't work so well) get it here. You can start Trackir, then Tir_Attack then CFS3 but sometimes Tir_Attack has poke errors. 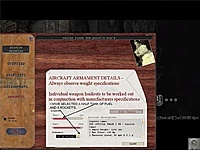 If you happen to have a Logitech Mouse with Logitech's Setpoint Software installed and running then you will not be able to use TrackIR with Combat Flight Simulator 3 and its total conversions like Over Flanders Fields and such. The solution is to end the Setpoint Software by right-clicking its task tray symbol and selecting 'switch off'. After that you can start OFF or CFS3 and TrackIR will recognize it and work with it. When you are finished with playing then simply start Setpoint again by the programs menu of Windows or start setpoint.exe in the installation folder for Logitech. 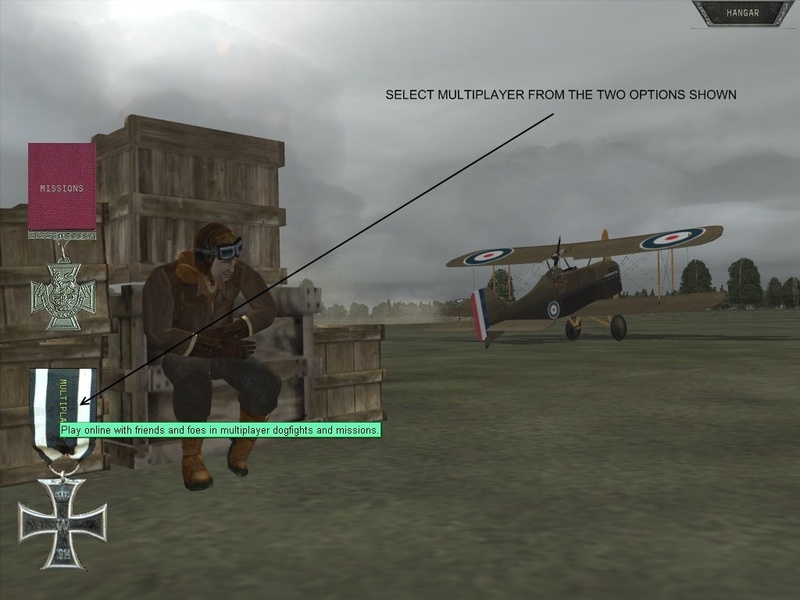 If you happen to run Windows Vista then you will not be able to use TrackIR with Combat Flight Simulator 3 and its total conversions like Over Flanders Fields and such. The solution is not easy. 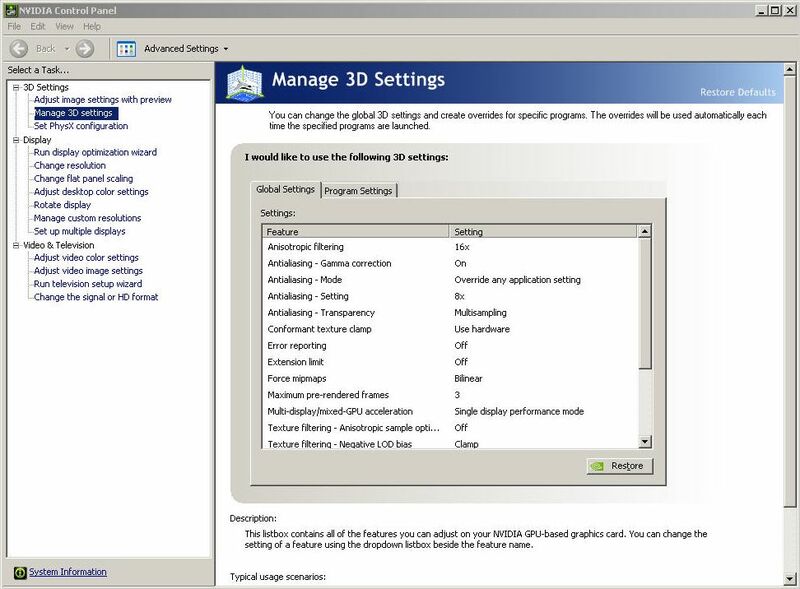 Install Windows XP as a dual boot option on your PC and play OFF with Windows XP. This is for the advanced user only. 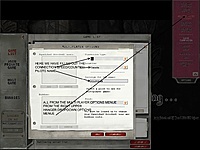 Update on 23-Sep-2008: Thanks to the OFF Development Team there is a fix available. 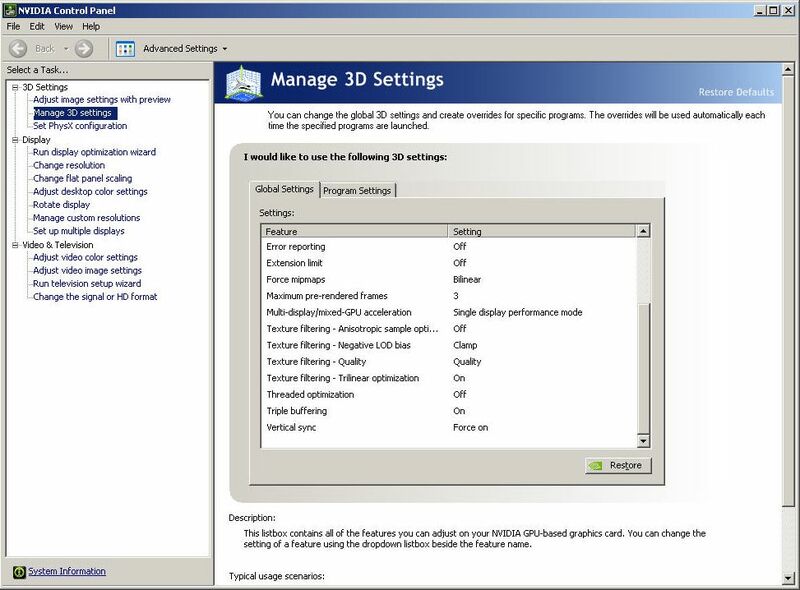 You now can use TrackIR with CFS 3/OFF under Windows Vista starting with TrackIR driver 4.1.036 beta 01. 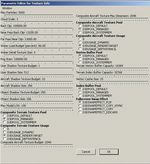 Get the driver from the NaturalPoint downloads page. 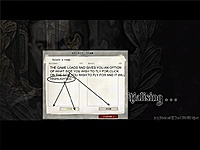 After you have adjusted the settings of the game to your likings it is a good idea to back them up because sometimes it happens that some files could be broken. Under Windows Vista it should be similar. 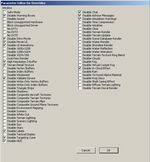 Also the paths of these folders depend on the original language of your Windows. You should repeat this after every major settings change. First shut off any Antivirus program, and any other running program just to make sure. 1. Install MS's "Combat Flight simulator 3"
(11.) If there is a problem with a "MSSTDFMT" thing you should unpack and install MSSTDFMT INSTALLER.zip, and register it via the "execute" window that can be found above XP's Start button at the lower left of your screen. 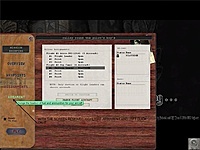 Then run the "cfs3config.exe" FROM THE CFSWW1 Over Flanders Fields FOLDER (not the one in the original CFS3 game) and adjust according to the ReadMe or FAQs from Polovski. Remember to have the second CD in your CD/DVD tray when you play. If you have the DVD version *, it will not have to be in the tray after installing. Copy the "CFS3.exe" from the CSF3 install into the OFF game folder - delete the old "shell.exe" there first, or backup the file with a different name (e.g. Oldshell.exe). Then rename the copied "CFS3.exe" in the OFF folder to "shell.exe". 3. Delete the OFF file "shell.exe" in : …\CFSWW1 Over Flanders Fields. 4. Rename the newly copied "CFS3.exe" to "Shell.exe" and you should be good to go! B.T.W. 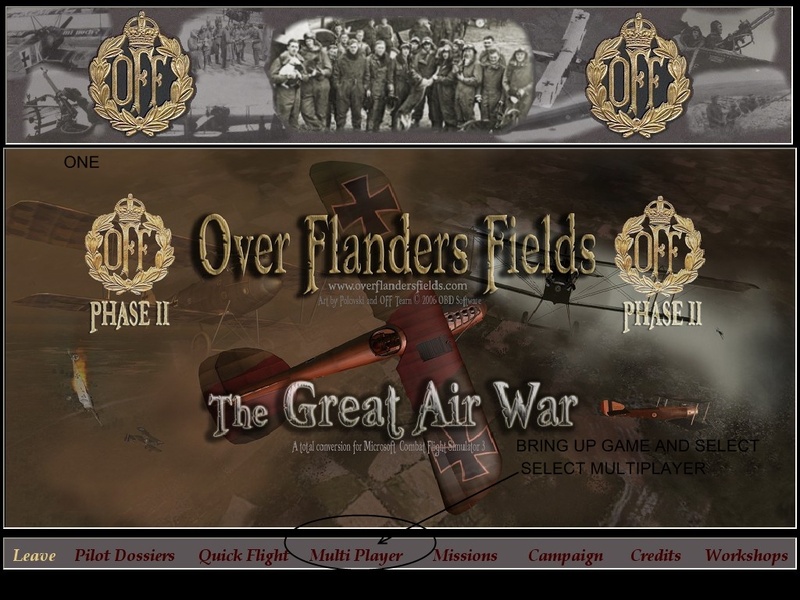 "Over Flanders Fields" Phase 3 "Between Heaven and Hell" takes care of these new DVD versions of CFS3, and all this will not be needed. 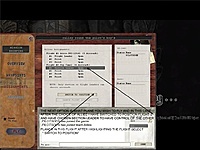 Left click start button > type in cmd in the search box, then RIGHT click on the icon that appears top of screen and select "run as administrator"
Do the same but instead copy the DLL to C:\Windows\System32 instead first. CFS3, and the total conversions OFF, MAW and PTO Solomon share the same game server list. The only possibility to differentiate the servers is that server operators put an 'OFF' in their server's name. 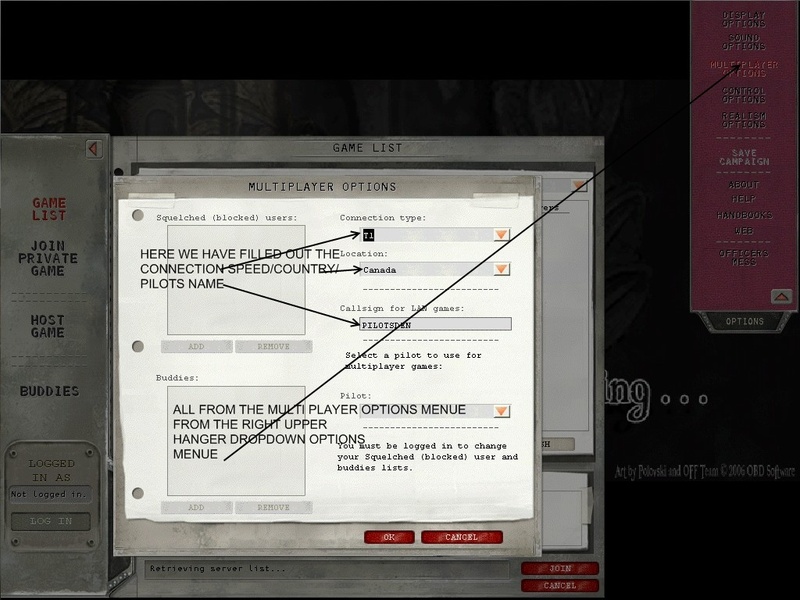 Also there is an user called 'pilotsden' in the OFF forum. He is organizing weekly online events for OFF. Just look for an announcement there. 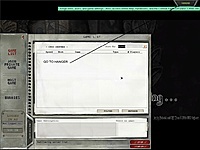 Update 03-Mar-2008 by Gremlin: Unfortunately Microsoft switched off their CFS3-Servers. 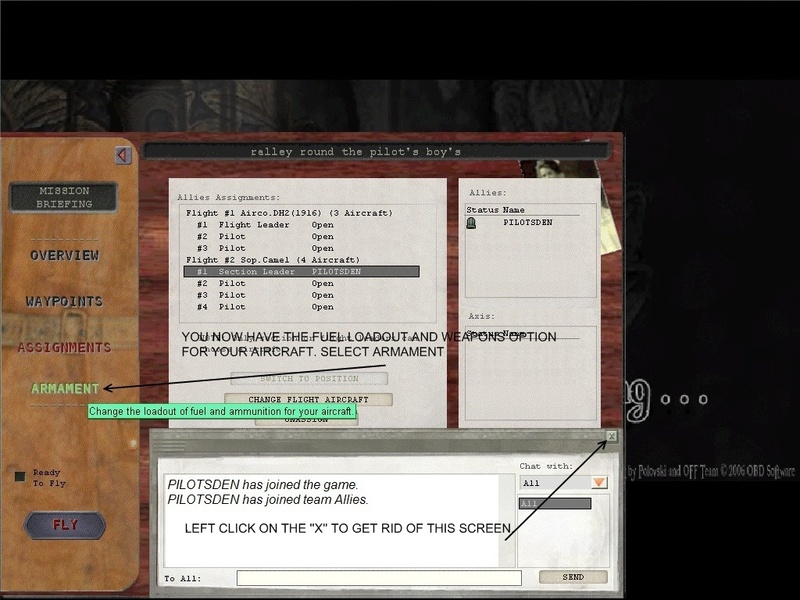 The only possiblity to play OFF online is when a mission is hosted by a player. 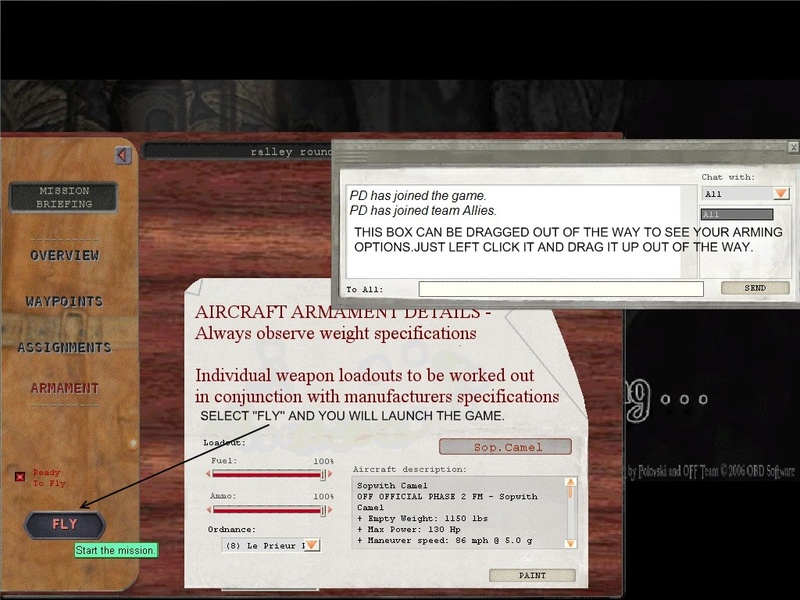 On the right-hand side of the screen is a drop down menue with multiplayer options on it. Select it and fill it out with a T-1 connection/your name/online handle e.g. mine says 'pilotsden'. 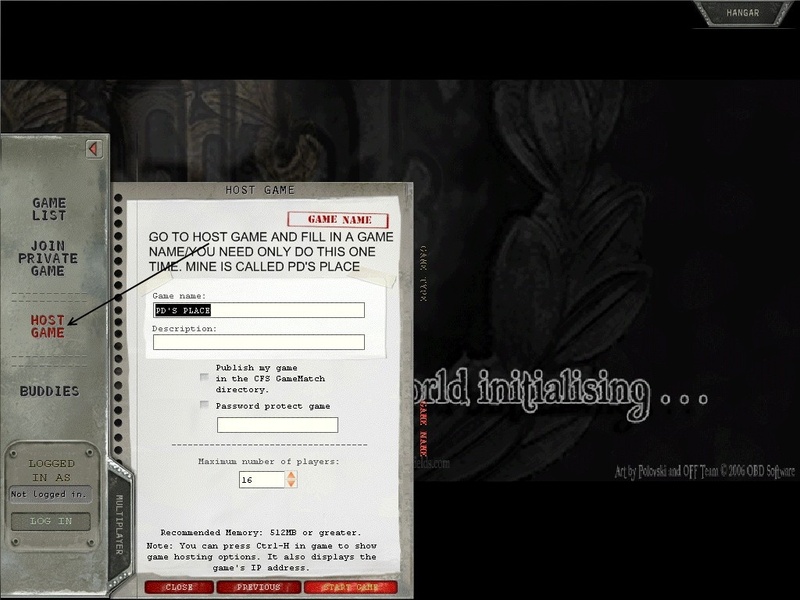 After you come out of the multiplay setup menue, the one on the right-hand side, on the left side select 'host' a game and give the game a name, 'my game' is good enough. Do NOT select publish my game on a game list!!! A list of the missions will show in a menue. 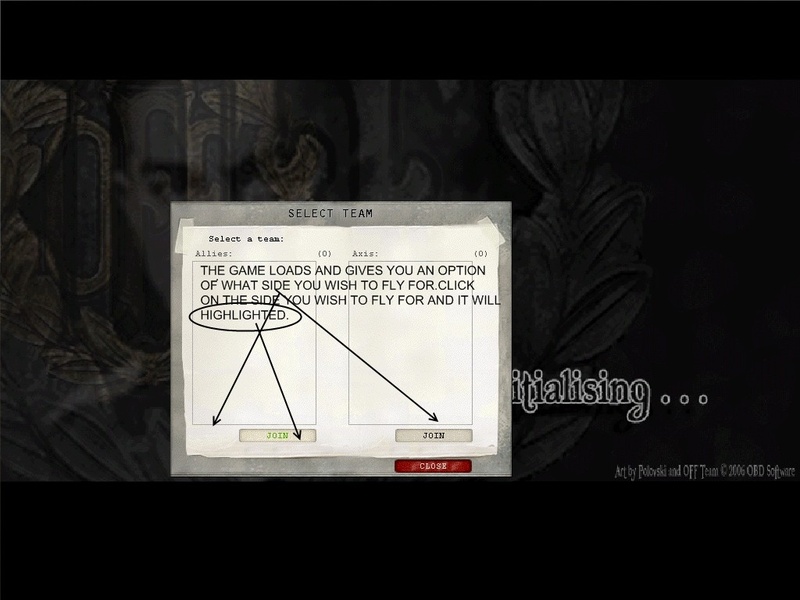 An options box will appear. Select Allies or Axis. Choose your side. You now have an option of what plane you fly in the mission. All planes are flyable and you are not restricted to the one assigned in the single mission format. Once your plane is selected select a seat. You can now choose your fuel and arming details but first you must slide the menue up or x out of the menue blocking your arming view. Then hit the 'ready to fly' button on the left side, a small black square that will light up when activated. 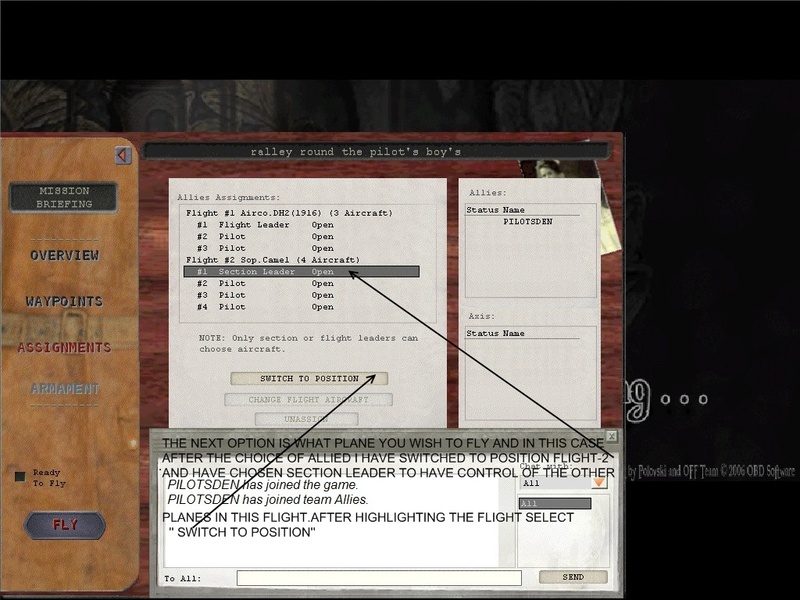 Then select the large 'FLY' button on the lower left and be ready to go as the plane and mission will suddenly launch. You will not be bothered by anyone as they dont know your on and also do not know your IP. Should you wish to host them on multiplay with a friend feel free to do so. 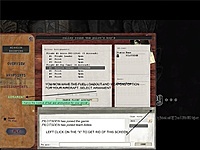 I would suggest a form of communication like Teamspeak. Enjoy. In case the number of maximum players is limited by the game for example to 4 players you can increase this by going in your multiplayer settings and changing the connection speed from for example '56k Dial-up' to 'T1'. 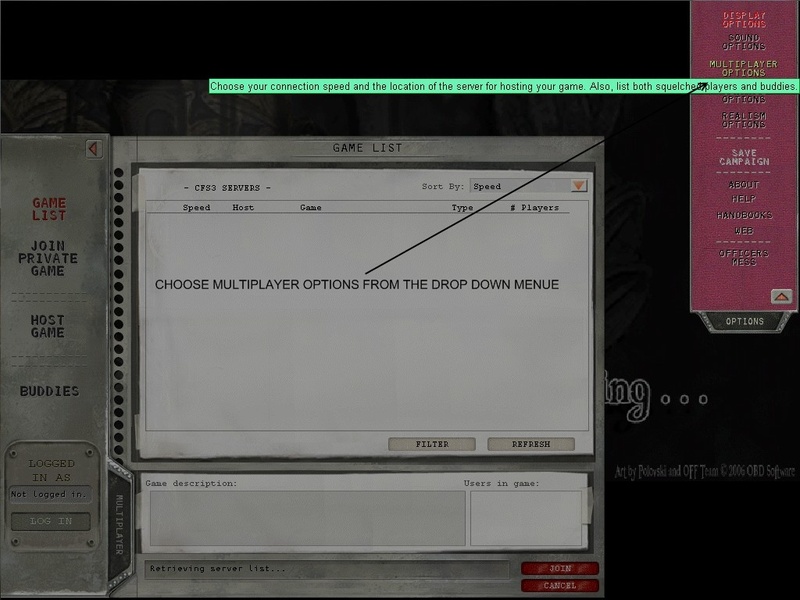 Then the maximum allowable number of 16 players can be hosted in an multiplayer game. Unfortunately 16 players is the limit imposed by CFS3. I have just undergone a new install on my test rig of OFF and I am reminded how good the following tweaks are. To do these tweaks you need to open the OFF Config app. cfs3config found in your CFSWW1 Over Flanders Fields folder. File, Custom Settings, Window, Overrides. 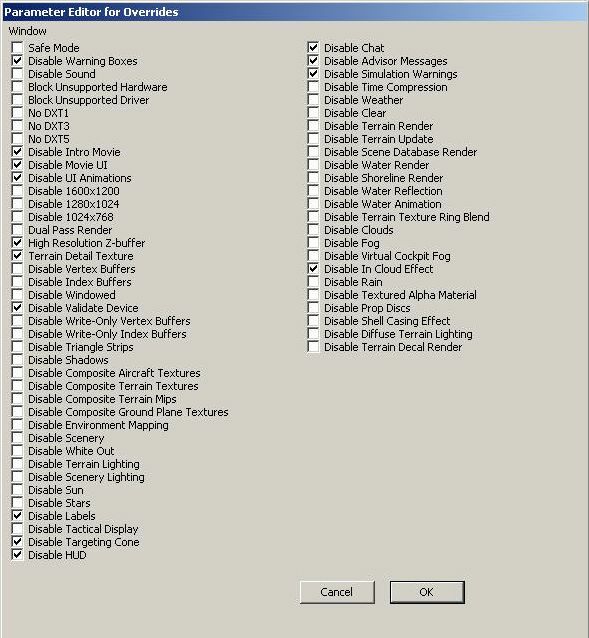 File, Custom Settings, Window, Texture Info. Having continued to tweak, the following settings I have found to be the "best" thus far. I find these settings very playable thus far on 4/3/2/4/3 (ATI 4850/512) with frame rates rarely dropping below the high teens in any locale. Navigate via File -> Change Display Settings. Maximize Resolution (e.g. 1600x1200x32). To disable messages such as whether you've hit your enemy and warnings such as 'Stall' tick the boxes for 'Disable Chat', 'Disable Advisor Messages' and 'Disable Simulation Warnings'. Now click on the 'Save' button at the bottom of the screen. Next click on 'File' and choose 'Exit' - do not use the X close button as this will lose the settings you have just made. Hopefully you will see some improvement with these settings. 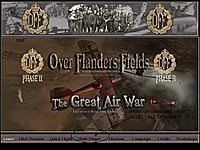 From within your \OBDSoftware\CFSWW1 Over Flanders Fields\ folder (that's the default install folder anyway) open the 'Default' folder and then open the file 'cfs3.xml'. You may need to use notepad (if you save double check it does not save it as "cfs3.xml.txt" make sure it is "cfs3.xml" only) . Look for MaxFPS="0" and change the value from '0' to something like '30'. This will help to smooth out the stutters too." You can always try increase this figure later (conservatively /gradually ) if your system now works well. If all else fails, set Scenery Slider to "1" This, as opposed to most other settings, appears to be the primary FPS killer. OFF and CFS 3 are games that can not use more than one CPU core. To run them flawlessly on a Multiple Core CPU you should take a look at our CPU drivers page to find out if you should apply one of those patches listed there.